In the past couple of weeks I have been approached by multiple friends who are all interested in starting blogs. Some of them have already started their blogs, and others are trying to figure out where to start. I’m definitely no blogging expert, but after 7+ years of blogging, and 2+ years of blogging for profit, I’ve learned a few things. 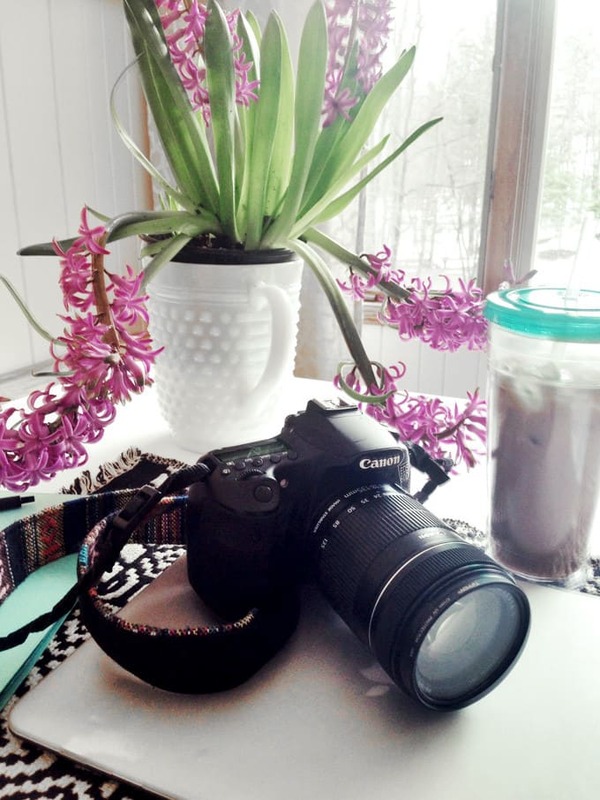 Today I’ll share my tips for starting a blog with you! Content. Content. This is the most important thing about having a blog. 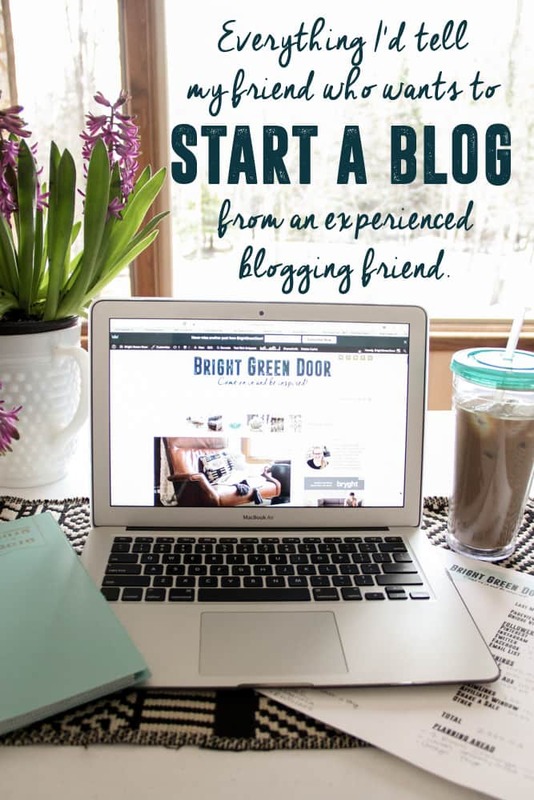 I’m guessing if you’re wanting to start a blog then you already have something that you want to share. When starting a blog be sure that you have something that you love to write about, and will be able to write a LOT about. It’s also important to write consistently. Consistency is something I’ve struggled with over the years, but when I’m the most consistent, my blog sees the most growth. Define your blogging goals and plan ahead. Do you want to reach a large audience? Make a lot of money? Share your expertise on a specific topic? Build a community of like minded followers? Then when you write ensure that each and every post will help you achieve those goals. This is something I’ve recently gotten much better at. 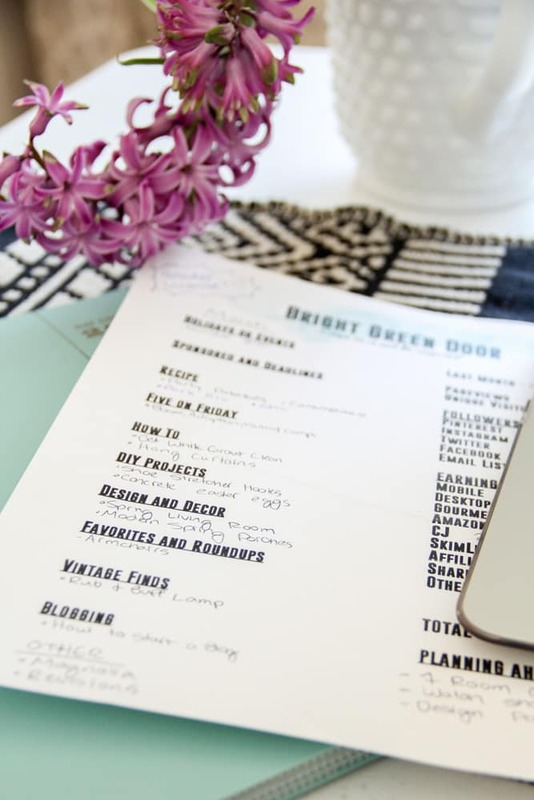 By laying out a monthly plan for the blog, I am better able to meet my goals. Typically this just involves brainstorming post ideas, considering upcoming holidays, and planning to write an even-ish number of posts for each category. This way I don’t end up with an entire month of design posts and no recipes, or a bunch of DIY’s and nothing relating to the current holiday. I utilize a 1 page sheet that I fill out at the beginning of the month and refer back to all month long. Start your blog on WordPress.Org. 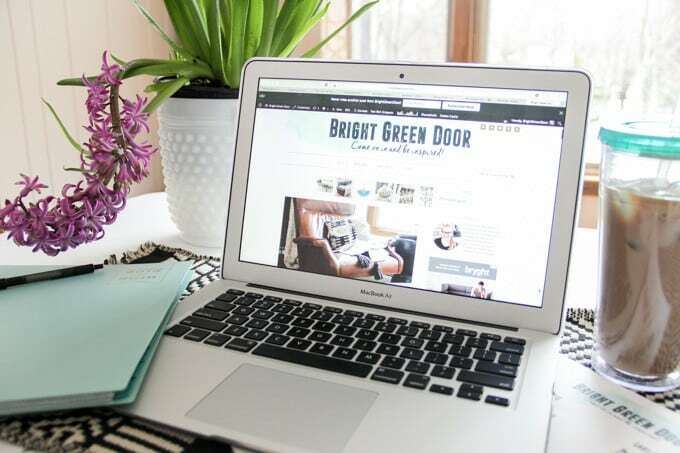 Yes, it involves paying for hosting and buying a domain, but it is the best way to turn your blog into a successful business. WordPress.org gives you the ability to use plugins to do just about anything. It also give you the ability to run ads on your blog. I purchased my domain through GoDaddy and my hosting through ASmallOrange which I recommend. I started on Blogger, and then had to make the transition to WordPress. My blogging journey would have been MUCH easier if I would have just started on WordPress.org. Start with a great blog design. 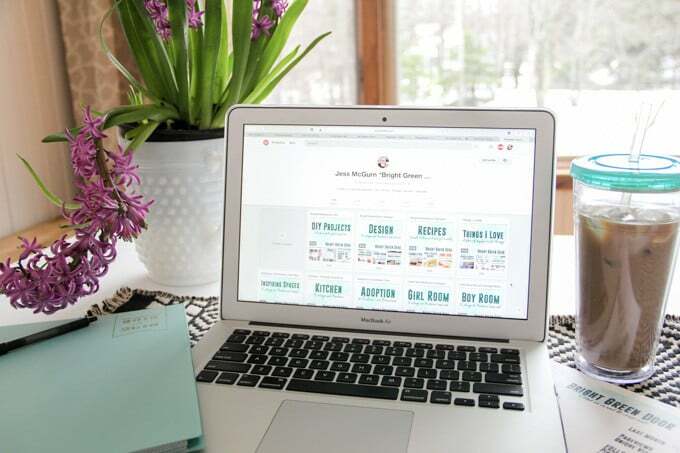 I use the Genesis framework and Foodie theme, and then hired someone on Etsy to customize it from there. A great design will help readers to take you seriously and make them want to come back. Take good photos. Readers want to see pretty pictures. No matter how good your content is, it won’t take you far without good images to go along with it. I definitely don’t expect everyone who starts a blog to be a good photographer, but if you’re not you can become one! I took online photo courses through “Shoot Fly Shoot” that I HIGHLY recommend. My photography has improved drastically since I started blogging. With the improvement has come growth. Find your tribe. I was late to the game on this one, but it’s important to find like-minded bloggers who you can work with. Whether you share each other’s content, or bounce ideas off of each other, this tribe will become vital to your success. This podcast on finding your mastermind group was what motivated me to find my tribe. Since finding my girls we have all helped each others blogs grow and have all become more successful. 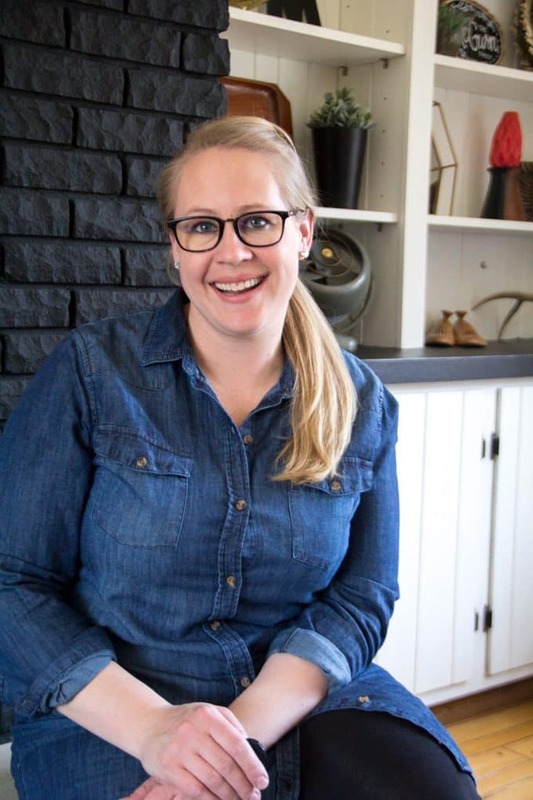 I found my tribe through blogging Facebook groups, but blogging conferences are another way that I’ve heard of people finding a great mastermind group. Social Media will be your best friend. There’s lots of ways that people can find your blog, but for me social media has always my #1 referrer. I don’t use all the social media platforms, but I recommend at least setting up an account on each one, then targeting use of a couple of them. For me this is Pinterest and Instagram. 40% of my readers come to me from Pinterest. By making sure that every blog post has a “pinnable image” you are able to maximize the power of Pinterest. Part of my Pinterest success came from finding group boards in my niche, and requesting to be a pinner on those boards. I’ve been rejected FAR more than accepted, but through the years have built up quite a few group boards that I am a pinner on. By sharing my content on those group boards I am able to reach an audience far beyond my readers. 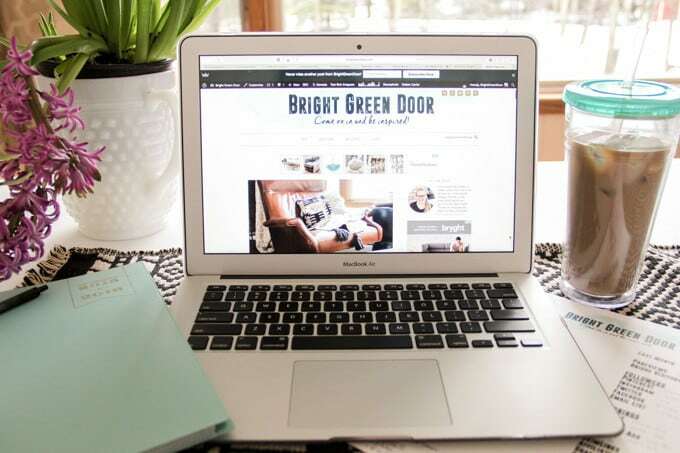 Once you’re ready to monetize your blog, work with a company who will handle your ads for you. I tried managing my ads on my own for a long time and made some money. Then I switched to having “The Blogger Network” manage my ads and earned 4x more in the first month than I had made on my own. AdThrive is another ad manager but you have to have over 100k Pageviews/month. There are TONS of ad networks out but if you let an ad manager handle them for you it will eliminate a big headache and earn you more revenue. Invest in Yourself. 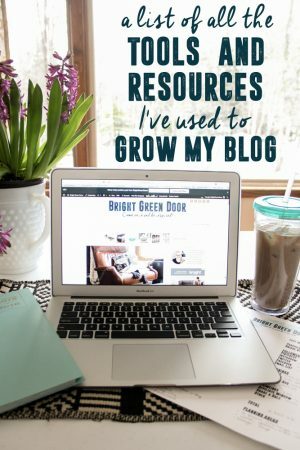 In the beginning, when your blog isn’t making any money, this may seem counterproductive, but there are so many great resources out there and if you take advantage of them it will payoff TENFOLD. The ebook that I found the most helpful was “Building a Framework“. Last year I also attended Snap Conference and Haven conference which were directed towards DIY bloggers. There are TONS of conferences out there for each blogging niche. Be Real. Be Yourself. This probably does’t even need to be said, but I’m saying it anyways. There are SO many bloggers out there with their signature styles. Don’t try to be like someone else, instead share YOUR style. Don’t try to fit into the box that you think bloggers in your niche need to fit into. I feel like the blogs that I enjoy reading the most are ones where you can easily identify the blogger’s unique style. When you truly share your passions readers will be drawn to it. On that same note, make sure that you let your bloggers get to know you. Have a great “about me” page and share enough of yourself in each post that your readers can connect. 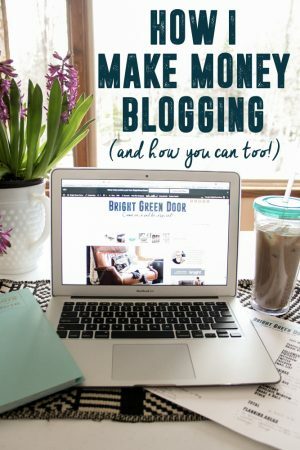 I could go on and on for days about all of the things that I’ve learned about blogging, but I think that these tips will get you off to a good start. I’m definitely no expert, and I’m sure every blogger would have a different opinion on the keys to blog success. My blogging career started as a hobby, chronicling our family. Eventually it evolved into sharing about our home and DIY projects. In the past year the blog has turned into a good job for me, creating a part time income while allowing me to work from home. I LOVE being able to inspire others while providing for my family. If you have any questions about any of these points, or about how I got my blog to where it is today I’d love to answer! Also, be sure to check out my other posts on blogging. Hi Jess! Great information in this article! I am getting to start a blog on woodworking/woodcarving. I started on Hubpages to kind of get my feet wet but am ready to move forward from there. My objective is to not only share information, but to try to make some money at this. Do you still think that WordPress.org is a good way to go for me? My income would probably be from advertisers. Thanks. Yes definitely! I’ll actually be sharing a post very soon about how I make money blogging. Currently I make a very good part time income blogging on wordpress. Thanks and good luck!